Venturing is a co-ed youth development program of the Boy Scouts of America for young men and women who are 14 (or 13 and have completed the eighth grade) through 20 years of age. Venturing's purpose is to provide positive experiences to help young people mature and to prepare them to become responsible and caring adults. 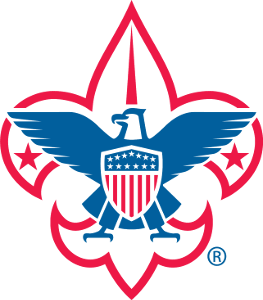 Like a Scouting Troop or Pack, a Venturing group is referred to as a "Crew". Venturing has become the fastest growing program of the BSA, as young adults have found the outlet they have been looking for in their age group. They are able to do more and go further as a Venturer or Sea Scout in a Venturing crew or Sea Scout ship. Venturing provides positive experiences to help young people mature and t o prepare them to become responsible and caring adults. 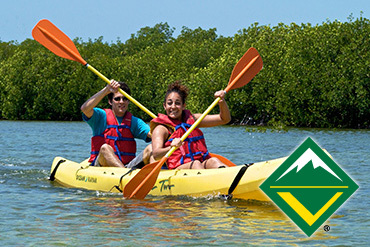 Venturing provides the skills needed for young adults to make ethical choices, experience a fun program full of adventure and challenges, acquire leadership skills, and to take advantage of opportunities to advance their skills and knowledge in the areas of high adventure, sports, arts, hobbies, religious life, and Sea Scouting. Click here for more information about how to Join Venturing.